The Priory Christmas service schedule has been announced! 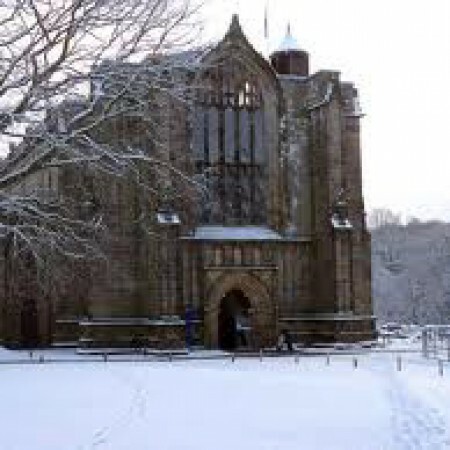 You’ll be able to exercise your lungs and your legs on Sunday 14 December at 15.00 when our Roaming Carols will begin at the Post Office in Bolton Abbey village. We walk down to the Priory, singing as we go, and finish with refreshments for all. On Sunday 21 December at 16.30 we’ll be holding our traditional Service of Lessons and Carols, featuring the Priory Choir as well as plenty of congregational carols. On Christmas Eve we look forward to welcoming new friends as well as long-standing ones at two very special services: our Christingle Service at 16.00 will set the joyful festive tone (arrive early to get a seat!) and a few hours later we’ll greet the Christ-child at our wonderfully atmospheric Midnight Mass – which actually starts at 23.30! On Christmas Morning our Festival Eucharist will begin at 10.00 (note the time). A warm Christmas welcome awaits you at all these services.